How will the EU classify Apple's service? The uptake of mobile payment technology has been slow in most developed markets – use of mobile devices to pay for goods and services in the US lags a long way behind Kenya, or India, for example. The long awaited arrival of Apple in the mobile payments sector is likely to change this, by galvanising consumer acceptance of the use of mobile devices to pay for goods and services, and it will benefit the whole sector as a result. Some early stage companies offering payment solutions might suffer as attention switches to the big players, but overall we think the startup sector will benefit as the ecosystem develops further around the mobile payment space. One of the main reasons for the slower uptake in the West has been concerns around security of payment data and fraud. Apple has clearly recognised this and worked very hard (no doubt with the major banks and card schemes) to address these areas. Apple Pay therefore goes some way to addressing these concerns – retail assistants will no longer see payment card details, name or the security code, and so fraud leakage from retail payments would seem almost impossible. However, security of payment data may remain a key concern and stats suggesting that iPhones are the most stolen handset might hinder take up. In this regard Apple points out that the phone does not store credit card details, but given that a key element of the functionality depends on taking a picture of the card it is hard to reconcile this statement, and as such phone theft would seem to remain a fraud risk for this reason (although the ability to remotely suspend payments through Find My iPhone will help). Therefore, for the same reasons, authentication of use will become increasingly important, and regulators are likely to require payment platforms to enforce stronger access protection. Interestingly this might drive new opportunities in the access authentication sector, and we see this sector as being a key beneficiary of the increase in mobile payments. 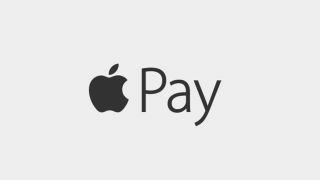 The biometric authentication used by Apple has been criticised and we note that Apple Pay can be used on older iPhone models, and so any improvements introduced in the new device won't be universally present. It may be arguable that, legally speaking, Apple Pay is not itself a "Payment Service" as defined under European law, and as such is not regulated, although this depends on exactly how the platform works. However, there are proposals within the EU to widen the scope of the regulation to cover "Payment Initiation Services". These would cover services that initiate payment requests by account holders and so might extend to Apple Pay if it's not already caught – further guidance is due from the EU on this in due course. In any event, consumers are likely to place a high degree of trust in the new platform simply because of the Apple brand, and the likely take up will benefit the sector as a whole. This will in turn invigorate further investment in the sector, which will surely drive further innovation in security and authentication, fuelling increased use in developed markets. Those markets may eventually catch up with the likes of Kenya and India. Graham Hann is partner at international law firm Taylor Wessing.